On the heels of Google I/O, the Mountain View company has been pumping out a lot of updates over the past few days. Google Assistant was front-and-center for a lot of I/O last week and the company is continuing to push the information that you have in the app on Android and iOS devices. A new addition has popped up in the Assistant app on Android, showing you a new Your Actions section. It is found on the Explore tab of Assistant and is located at the very bottom of that tab. Tapping the link for Your Actions will show you a list of actions that you frequently use and will include things that are a part of routines for Assistant. 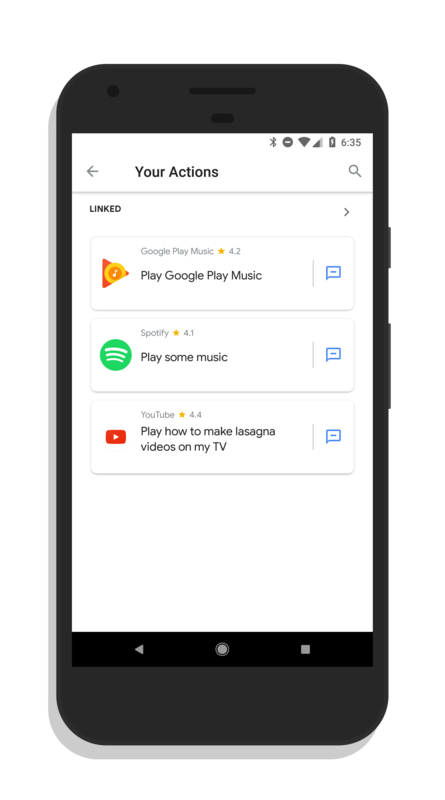 The idea is to give you an overview of the actions that you perform with Google Assistant regularly but also gives you information about that action. For example, if I tap on the Spotify action in my list, I get a list of things I can say to Spotify through the Action to make it a more personalize and useful experience for me. While this is a small update, you can expect to see these little tidbit adds to Google Assistant in the coming weeks and months. It is clear to see that Google is wanting Assistant to be the center pin for everything you do on your phone and while in isolation these little updates may not seem like much, the longer play will help facilitate that goal.